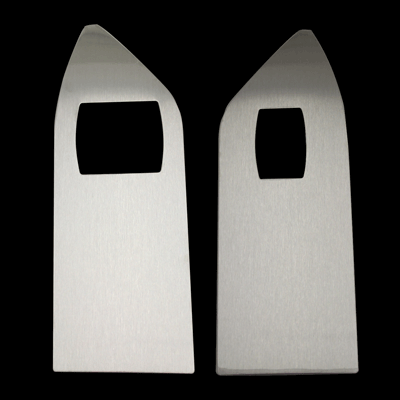 Innovative Bold Styling: UPR's hottest Stainless Steel accessory for your 2005- 2009 Mustang Hardtop are these Window Switch Plates. Made to compliment your other stainless steel and billet interior accessories. Quality Construction: Made with 20 gauge Stainless Steel and CNC Laser cut to fit around your factory switches, while giving you the bold clean styling of our aftermarket Dress Ups for your American Muscle Car. Installs in 5 minutes or less with silicone adhesive (not included). Fits these Vehicles: 2005 2006 2007 2008 2009 GT Mustang Bullitt Steeda Roush & Saleen Vehicles. Made in the USA!